The Holy Father said the attack August 17, 2017 in Barcelona was “blind violence” and a “very serious offense to the Creator”. His words came in a telegram August 18, 2017 from Cardinal Pietro Parolin, his Secretary of State, to the Cardinal Archbishop of Barcelona Juan José Omella y Omella after the attacks that struck Spain, including Barcelona and Cambrils, Thursday evening, August 17. “Following the news of the cruel terrorist attack that has sown death and pain in Las Ramblas in Barcelona, Pope Francis wishes to express his deepest sympathy for the victims who have lost their lives to such an inhuman act, and offers prayers for their eternal repose. In these moments of sorrow and pain, he wishes also to offer his support and closeness to the many Injured, to their families, and to all Catalan and Spanish society. “The Holy Father once again condemns blind violence, which is a grave offence to the creator, and raises prayers to the most high that he help us continue to work with determination for peace and harmony in the world. 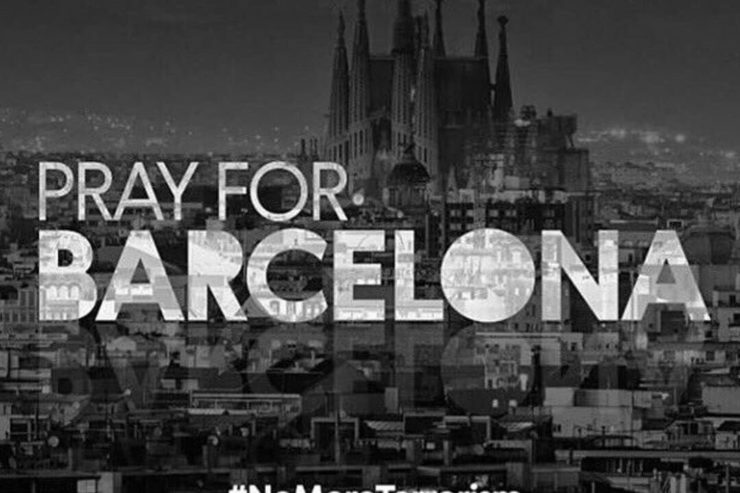 At least 14 are dead and 100 injured in the Barcelona attacks that occurred at around 5 p.m. local time Thursday. A second attack took place in Cambrils, south of Barcelona, at around midnight. Six were reported injured, one of whom later died. According to local reports, an explosion at a house in Alcanar, south of Cambrils, on the night of the 16th, may be linked to the attacks.